Yesterday Mako & her friends made two easy Halloween cards. First one used CC Designs Mummy Trevor. He’s easy to color and cut out. 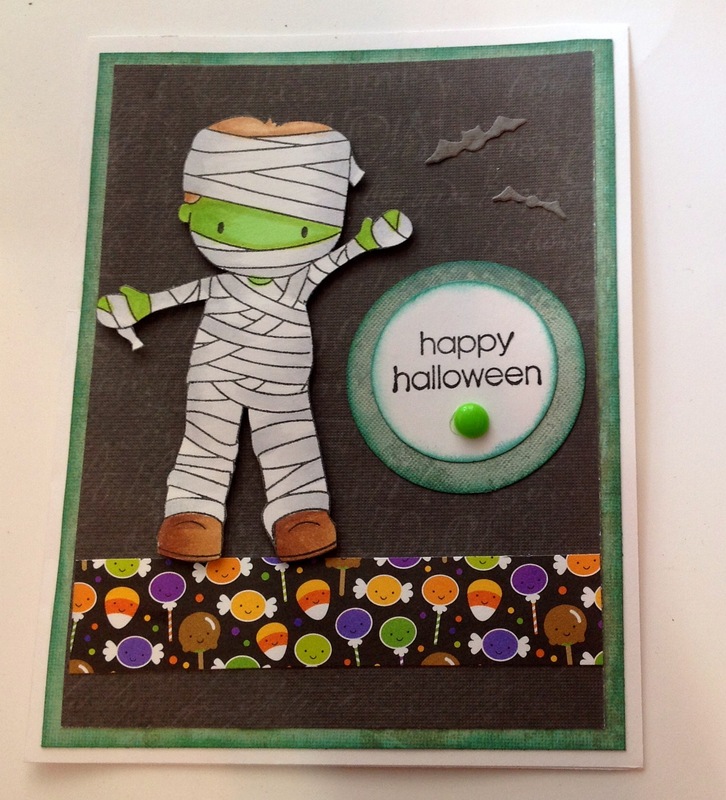 The Halloween paper is scraps from Doodlebug. Enamel Dot made from Perler Beads. Little bats from Memory Box. The second card used paper scraps. The orange Trick or Treat is tape from Celebrations in Mapunapuna. Ghost is from Dandelion Designs. First day of Fall break….